Shields block all incoming damage from the front 120degree arc when in use. Beware they can only be in use for a limited amount of time. 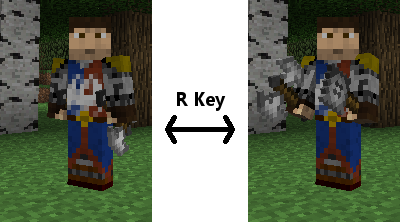 Mine and Blade 2 introduces a new weapon system to minecraft. This system will allow the player to have up to 3 weapons sets available to them that can be switched to using the ‘R’ key. 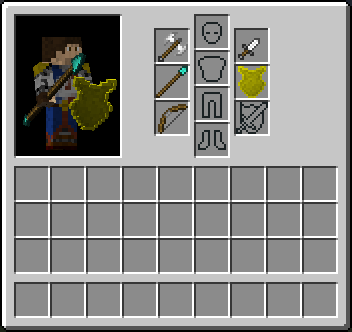 The system allows the player to specify a mainhand and an offhand weapon (so allows select dual wielding). A shield bash can be preformed by pressing the ‘Z’ key. This will cause any mob in front of you to be knocked back. Using a shield bash will cause you to loose a third of your stamina bar and render you unable to attack for 1/2 a second.